I have a custom keystore that I use for signing my apk. now I want to use the same keystore for debugging. when I go to eclipse->windows->preferences->android->build and set my custom key store I get "Keystore was tampered with, or password was incorrect"? Basically what you should do is that change both storepasswd and keypasswd for the alias androiddebugkey to "android". 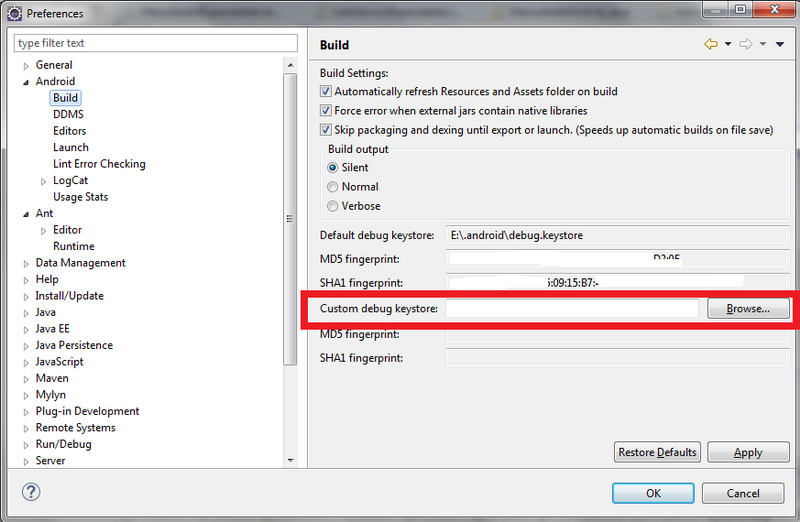 Simplest way to set custom keystor. 1.Export any project (It will show you an option to create custom keystore). create your keystore with an extention ".keystore" and give password android and press next. now press finish and your keystore is ready. 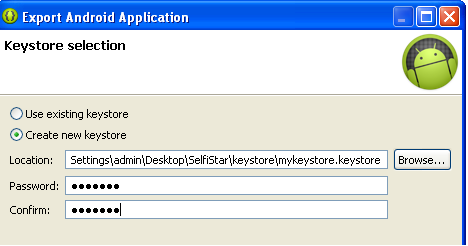 Of course substitute passwords and alias of source keystore with the one used in creation of release keystore. We have the same problem some time ago at our office. Since we needed this quite often we wrote a simple script to make it easy to to convert release keystores to debug ones. We are using it for some time now, so should be quite stable. Not the answer you're looking for? Browse other questions tagged java android apk code-signing android-keystore or ask your own question. 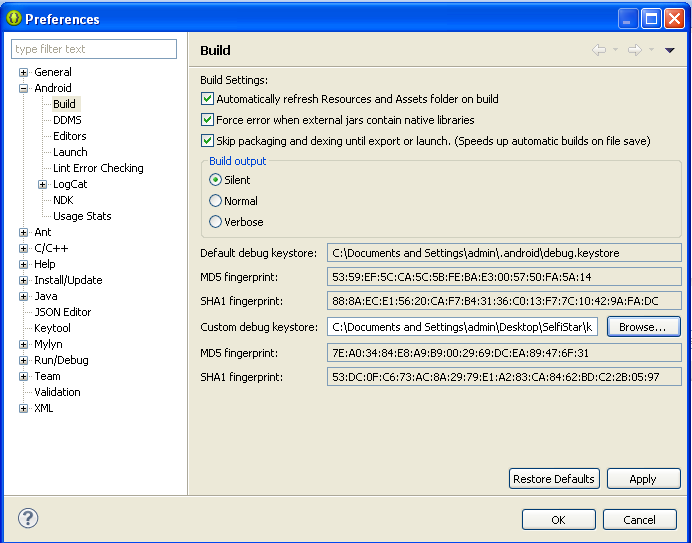 How can I specify location of debug keystore for Android ant debug builds? Install an apk file from command prompt?